Secure, 3rd Party Online Payments since 2009. Copyright © 2009-2019 Healing Oil Products c/o Facets BZ. 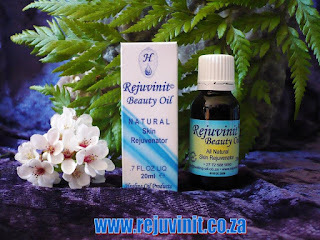 Rejuvinit© Beauty and Skin Oil is a general skin toner and rejuvenating oil. Rejuvinit© is absorbed quickly by the skin, leaving a pleasant, uplifting and relaxing smell. Clients that experience painful periods have found that massaging two drops of Rejuvinit© Beauty Oil into the skin over the painful area (ovary, uterus, back) alleviate symptoms. Some clients have reported that heavy periods were alleviated with regular, continued use. For the alleviation of PMS, clients have noted that applying Rejuvinit© twice a day (2-4 drops) to the face or neck, or taking regular baths with 10 drops of Rejuvinit© in the bathwater alleviate symptoms. Clients with Hot Flushes have found that applying two to six drops (per day) of Rejuvinit© at least once a day to the face and neck area alleviate discomfort. Some clients reported that the Hot Flushes persisted for the first ten to twenty-one days, after which they no longer experience this discomfort while using Rejuvinit© Beauty Oil on a daily basis. Note:The above is based on the personal opinion of the writer. The information has been compiled from 20 years of personal experience, feedback from skin care professionals, and other clients. Contact a healthcare practitioner if symptoms persist. Healing Oil Products may assist in the treatment of blemished skin conditions and nails. Due to its natural workings it should not be considered a quick fix or a miracle cure.